Next year I shall be boarding the ship that started it all, Oriana! The plan is to embark on a 12-night Northern Lights cruise in March and I am already counting down the days – 80 left to go! I boarded Oriana back in 2007 for my very FIRST CRUISE and I have never looked back since. To say I am looking forward to exploring her again would be the understatement of the year, it absolutely cannot come soon enough! Oriana was family friendly when I was last on her but has since become adult only and she has had one or two changes so I’m looking forward to seeing the difference. I remember enjoying a cheeky Cognac in Tiffany’s, meeting my table mates for the first time and the excitement I felt when we docked at our very first port. I even remember the first thing I ate onboard and that was battered cod from the Conservatory restaurant. I had only been onboard for maybe an hour or so and food was the first stop! So back to the actual voyage! Oriana will depart Southampton for Stavanger, Tromso, Alta and Bergen all of which are in Norway and all are ports I am yet to visit. Hopefully at some point during this Arctic Circle cruise we will be blessed with an aerial dance from the Aurora Borealis or Northern Lights as they are more commonly referred. I think that’s what I am most excited about. There will also be a few sea days slotted in there for that all important pre and post shore excursion relaxation, ah you have to love a sea day. I know I am ahead of myself with this blog post today, but I am so excited about being back on Oriana – I wanted to tell EVERYONE!!! I would love to go back to my original ship(s), but alas, they keep retiring them and sending them to the breakers. My first was the SS Emerald Seas (Eastern Steam Line) back in 1976. Almost 20 years later was the next one, Premier Cruise Lines SS Oceanic (The Big Red Boat) back before Disney Cruise Lines started. Premier had a deal with Disney that you got the 3 or 4 night cruise, then spent the rest of the week in Disney World. I would love to be able to see either of those again. Then of course there is the Queen Elizabeth 2. Was on her twice. Thankfully she isn’t gone, but the chances of sailing on her again are nil. Happily, all of the other ships I have sailed on are still afloat and in operation. Yes, totally in sympathy with your thoughts here. 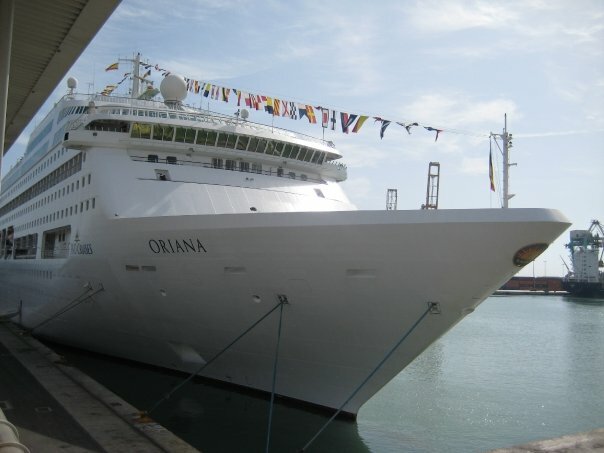 Oriana was our first ship back in 2000 and we fell in love with her and cruising. It has cost us a fortune ever since, but almost every penny has been worth it. I took nearly 12 years to write the book of that first cruise but I remembered virtually every minute of it with just a memory jog of a photograph. 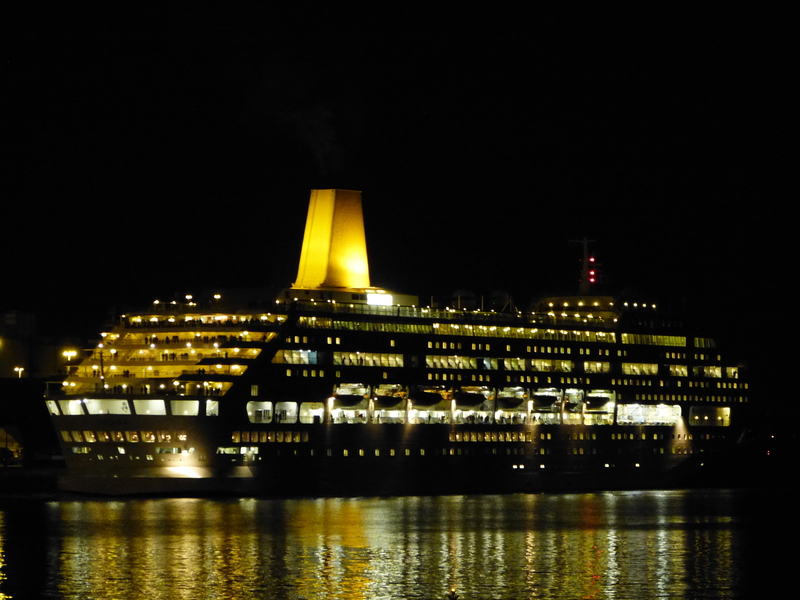 Perhaps it would be good to tempt your readers to give their memories of their first cruise and first ship. I am sure it would make a wonderful series of articles to make ‘sad old gits’ like me sigh with shared pleasure.